Athens, Vienna, Lisbon, Sofia and Dubai are top five destinations to have risen in popularity over the last five years with passengers as per London Stansted Airport. These cities and countries have seen the largest percentage growth in its passenger numbers – travelling to the destination from the airport – over the last five years. London Stansted Airport has revealed that destinations such as Athens (77 per cent), Vienna (77 per cent) and Lisbon (76 per cent) have grown in popularity among British holidaymakers who are looking for more adventurous and off-the-beaten track. 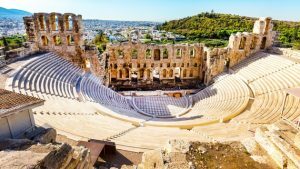 The ancient city of Athens in Greece offers a guaranteed culture-packed mini break, with its ancient monuments and historic architecture, alongside trendy rooftop bars and sundrenched piazzas. Though Paris, Rome and Barcelona are more popular, Athens is an ideal destination for leisure travellers. Dubai has risen in popularity by 40 per cent among holidaymakers due to the demand for more luxurious experiences. With an increasing demand for long-haul travel the growth will continue in 2019. Responding to the growing demand for travel to Dubai, Emirates has launched a new double-daily route to the destination from London Stansted Airport this month. London Stansted Airport is also responding to the long-haul demand by targeting 25 new long-haul destinations around the world over the next five years within destinations such as the Far East, India, North America and the Middle East.